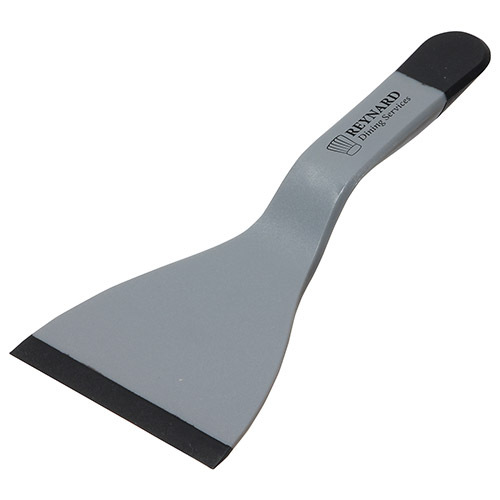 Sturdy silicone composite handle provides easy control and direction while flipping. Flexible rubber blade and matching handle tip. Size: 8-3/8" x 3-7/8" x 5/8"